Hi! Welcome to day one of 31 Simple Ways to Embrace Lopsided Living! The short answer is Lopsided Living is the purposeful pursuit of an unbalanced life. The longer answer is, several years ago I had an epiphany (or maybe it was a hissy fit, I can’t remember now) — I couldn’t do it all and I really didn’t even want to do it all. Maybe you feel the same? All around me were books and articles and blog posts talking about how important it is to balance everything so you can get it all done. But it all seemed a little too neatly packaged for it to work in my chaotic life. So, I made a decision: balance wasn’t going to be my goal. I was no longer on a mission to do it all and make it all look easy. Some parts of my life took a lot more time than others. Some days I didn’t accomplish anything on my list but when I laid down at night I felt as if I had done important things. 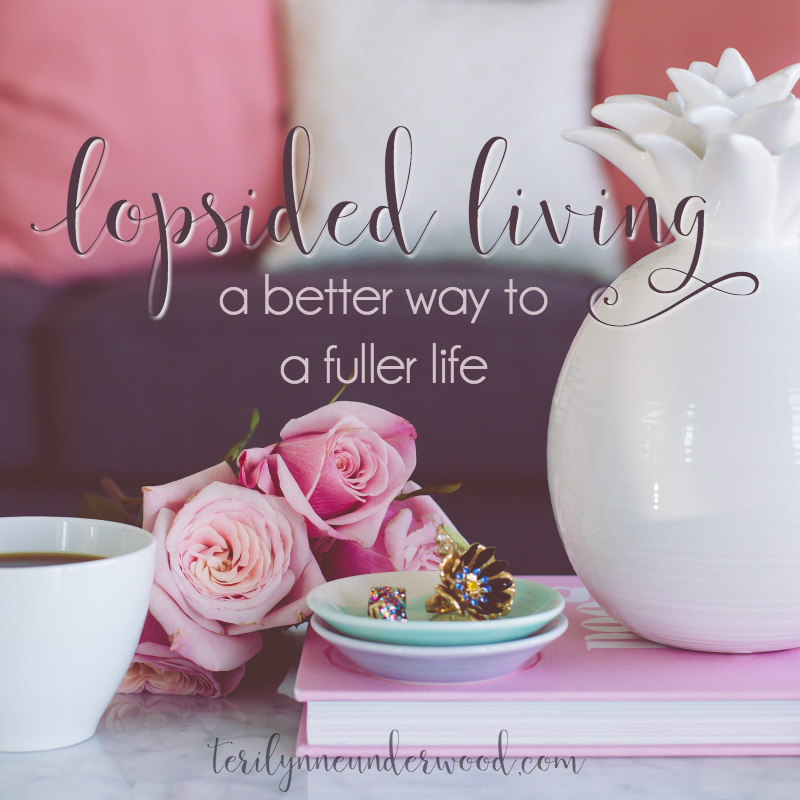 I began chasing what I called “Lopsided Living.” I studied Scripture to see what God had said about our priorities. I read books about women who had lived meaningful lives. 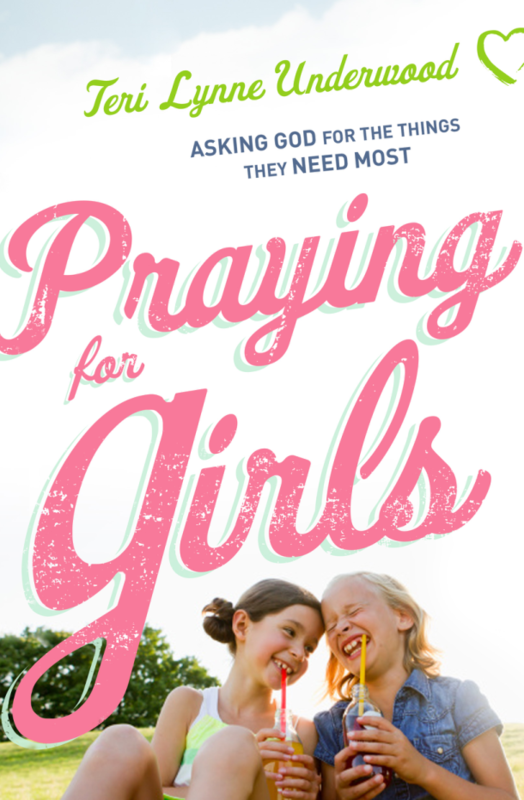 I prayed for wisdom and I asked a lot of questions to women whom I admire. And this is where I landed — balance might be great when you’re trying to decorate your mantle but I was no longer worried about giving equal weight to all the tasks and priorities in my life. I was going to live lopsided! Why is it a better way? The word balance means “a condition in which different elements are equal.” Y’all, the different elements of my life are NOT equal. My marriage and parenting are the two heavyweights. They get the largest part of my energy and time. My spiritual growth is also a prominent fixture in my time allocation. If we are going to embrace the abundant life (John 10:10) God offers, if we want to know what it is to live life to the full, we have to recognize everything isn’t of equal value or importance. Proverbs 31 gives a great illustration of what lopsided living looks like. In verses 10 through 31, we find this retrospective of her whole life. How do I know that? Because y’all, no one’s teenager is rising up and calling their mother blessed. Seriously. 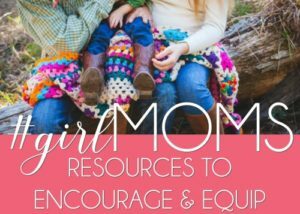 It’s when we have kids of our own that we see what our moms did and how they lived. Right?? Back to Mrs. P31 — in these verses, we see that she was an entrepreneur, a wife, a homemaker, a mother. We also find that she was generous, compassionate, savvy, and wise. If I thought this was her daily to do list, I’d give up right now! 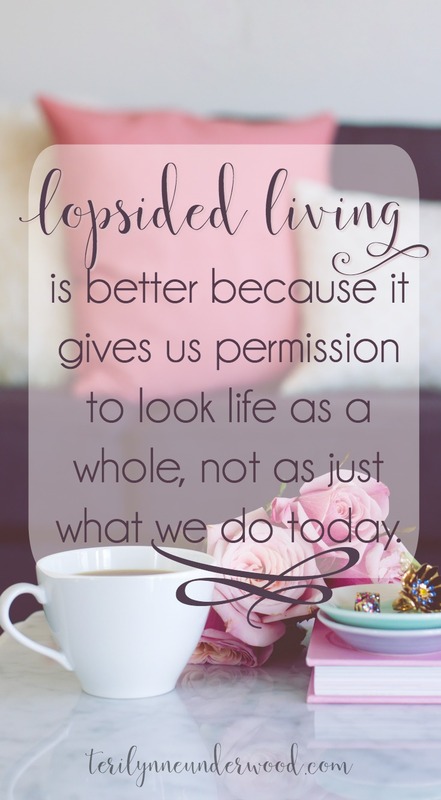 Lopsided Living is better because it gives us permission to look life as a whole, not as just what we do today. It helps us see the different seasons and circumstances of life not as obstacles but as opportunities. We’ll spend the next month digging into specifics and looking at how this can play out in your life. I’ll share some personal examples (including some epic fails!) and invite you to do a little bit of thinking about your own life and what changes you can make to be purposefully unbalanced. We’ll focus each week on one of the four main areas of our lives: spiritual, mental, physical, and relational. Every Sunday this month, I’ll share a verse that has been integral to my lopsided living journey. Monday through Friday each week, we’ll look at specific ideas and applications. And on Saturdays, I’ll do a recap of the week. Every day I’ll offer you a simple way you can embrace lopsided living. I know, it sounds silly, huh? But truthfully, sometimes the best thing we can do is hear ourselves speaking truth. And if you’ve gotten this far reading, I’m pretty sure you’ve reached that same conclusion I did — I can’t do it all and I’m not even sure I want to. I’m looking forward to this month. And I hope you are also! Tomorrow’s post: We have abundance not scarcity. Index to every post in the series here. Alicia, I am so glad you came by! 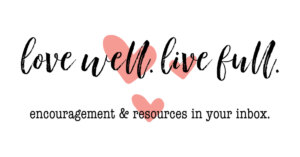 I hope you will join me on this journey to Lopsided Living!! Yes!!! I have a similar approach to life and have come to detest the word balance, ha! I love how you explain this and can’t wait to read this series! I love connecting with people who have a similar view of life! Thanks for stopping by!! I am really looking forward to this! A recovering perfectionist, I have recently decided to live different and this is going to be so helpful. Can we get shirts made! Haha! Oh shirts!! What a great idea … I may have to check into that!! !